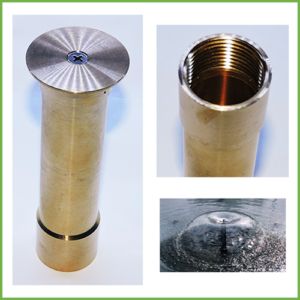 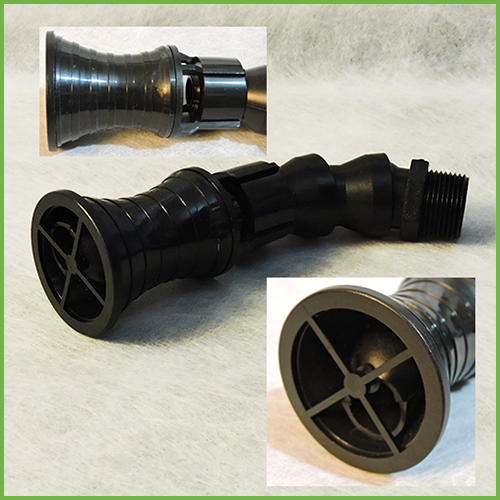 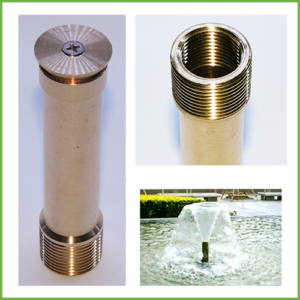 The Flow Accelerator Swirl Nozzle 3/4 inch is installed at your submerged pipe inflow. 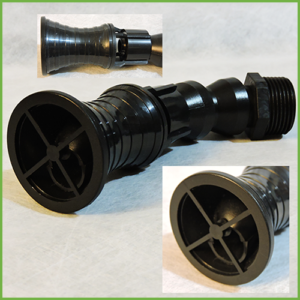 Water enters through the nozzle creating water pressure that in turn develops a vacuum, drawing additional water into its body for increased circulation. 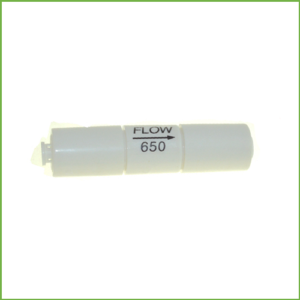 In addition to the increased volume and velocity the spinner within the body causes a swirl which increases the wave front and creates a random flow. 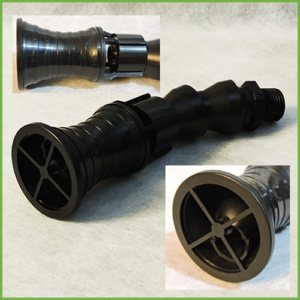 The nozzle may be used with or without the spinner. 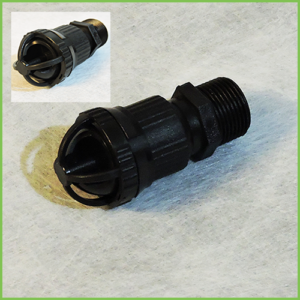 1 inch and 1/2 inch available.